Marin County students & young professionals working towards Democratic ideals and values. 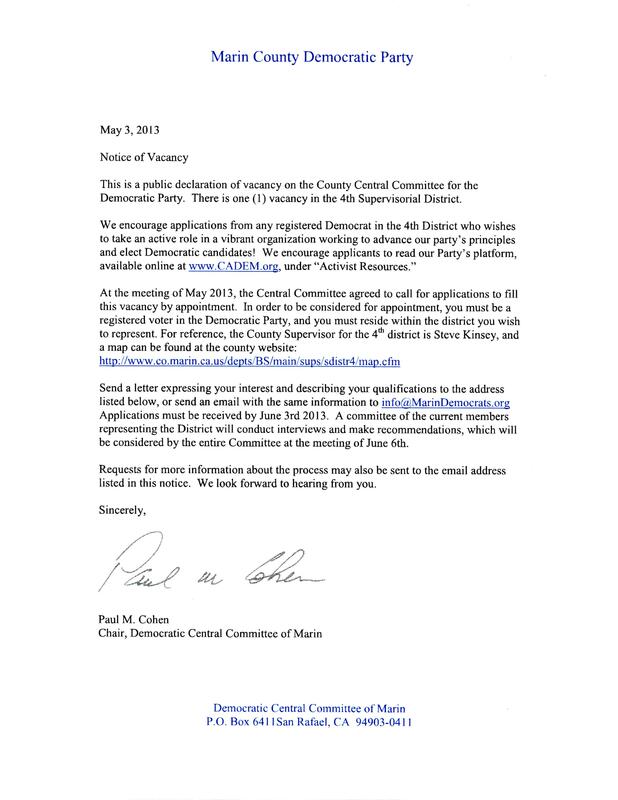 There is a vacancy in District 4 for the Democratic Central Committee of Marin (DCCM). Marin County Young Democrats (MCYD) hopes that if you are eligible or knows of an individual who is eligible to please apply for this vacancy. This is our chance to change the leadership landscape of Marin! For more information please email: info@MarinDemocrats.org. This entry was posted in Meetings, Opportunities, Volunteer and tagged central committee, DCCM, democratic central committee of marin, Democratic Party, leadership, Marin, Marin County, Marin County Young Democrats, MCYD, vacancy. Bookmark the permalink. Marin County Young Democrats Celebrates the Holidays with an E-board Election!